The book I just published (a month late! ), La Risposta, the final book in the A Tuscan Legacy multi-author series, was the hardest story I’ve written so far. A pineapple book. Spiky and tough and messy to get into, but worth it once you do! Getting to The End took a lot of prayer and a lot of leaning on the Lord and a load of support from my wonderful editor Dee at Brilliant Cut. I’m so relieved and grateful to have it done! I truly hope I’ve written the story God wanted me to write. Like all challenging experiences, I learned a lot in the process. No matter how urgent the deadline, caring for my husband has to come first. To ditch my own plans and trust God’s guidance instead, because this story ended up nothing like the story I started off thinking I’d write, and first drafted. When things seem to be going wrong and I’m under time pressure, to stop and be still with Him first, instead of diving headlong into panicky pointless activity. My “word for the year” isn’t just for one year, but ongoing. “Still” is my word for 2018, but the words from previous years still apply just as much as they did in their own years. “Enough” and “Flow”. So I need to stack them. Internalise the relevant Bible verses, and hold them in my heart and mind. Trust that God’s grace IS enough for me. Know that my plans need to be fluid, ready to flow as He guides me, and I need to allow His rivers of living water to flow into me and through me. And I always need to be still before Him, and know He is God. The best thing I can do in any situation is surrender it to Him. To simply be still and trust Him. To stop my frantic planning, do what is in front of me, and hand the future over to Him. That’s where joy and peace is found. Help me to still myself before You, Lord. Help me to slow down and breathe. To open my heart and mind to You. To forget my To Do lists and my deadlines and my shoulds, and to rest in You, listening for Your guidance and direction. To let Your peace seep into my weary soul and renew it, so I can love the way You want me to love, and write the way You want me to write. Thank You, dear Lord! Amen. I’m hoping I can remember this, next time I get in a deadline rush! If you’re new here and haven’t seen the A Tuscan Legacy multi-author series yet, or were waiting until all 9 books were published to start reading, you’ll find the books here. My books, Dolce Vita and La Risposta, will be 99c for a few more days only. All the books can be read in Kindle Unlimited! 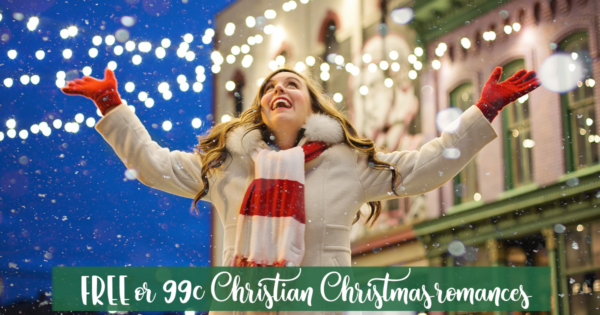 Plus, if you love Christmas romances, don’t miss the opportunity to stock up on free and 99c ebooks at Christmas in July from 18th through 22nd July! Did you choose a word for the year back at the start of 2018? Has it helped, or do you (like me some years!) struggle to recall what the word was? And if you’ve read A Tuscan Legacy, what did you enjoy most about it? One comment on this post before July 26 will be randomly chosen to win their choice of my current or future ebooks! Good morning, Autumn! 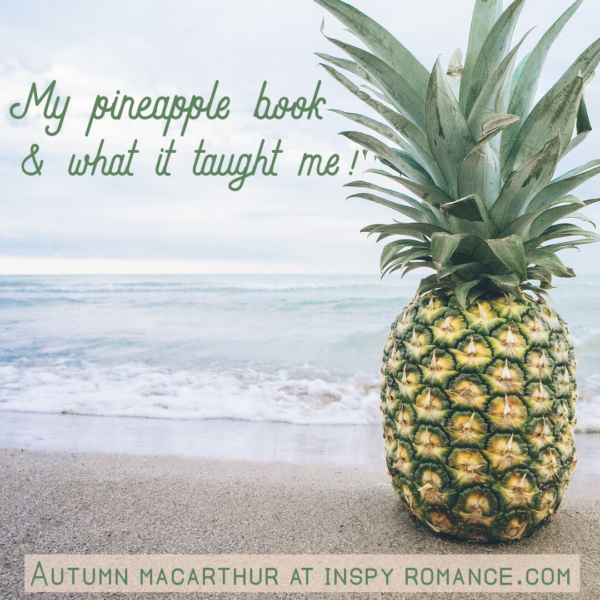 I am so glad you made it through to the other side of your pineapple book! I am on book 7 and looking forward to seeing how this series comes together in the final one!! I have kept you and your family in my prayers!! Thanks Patricia! I’m glad and grateful you enjoyed the books. The series has been an amazing experience! Hugs and prayers for your MS journey. Feeling His loving presence makes all the difference! Hi Paula! I’m grateful too! To have it written, and to feel with God’s help I came nearer writing the story He wanted me to write. I hope you enjoy Books 8 & 9 when you get to them! And thank you for your prayers, as well as all you do supporting Christian authors on your lovely blog. Both are very appreciated! Hi Autumn! Thanks for sharing your journey. While I did not have a word for 2018 or as a retiree over 65, I do not remember; one of my favorite verses when life is hectic is Psalm 46:10 “Be STILL and KNOW that I am GOD.” In the business of life, especially as care giver, that is often difficult to do. While working full time with a son at home, I cared for my parents for 14 years. I read the entire Tuscan Legacy Series, which was this year’s favorite summer series. La Riposta is a satisfying conclusion to the series. You weave a story of forgiveness with believable down to earth characters, a twist and turn plot, lessons of faith, love, and restoration into an inspiring story. The grandmother was my favorite. This series is more than just the romances of the eight grandchildren, it is about a family forgiving the past and coming together through the intrigue of 8 mysterious personal paintings which included accents of expensive blue paint. Well done Autumn. The conclusion was worth the wait. Best wishes to you and your husband. In my thoughts and prayers. Renate, I’m sure you would not have forgotten! Thank you for your support of the series, and your prayers. Both are very appreciated! Your a new author for me. Kim, I hope you’ll enjoy my books! If you visit the Christmas in July page I linked to, you’ll see I have a free Christmas book. Book 1 in that series is always free. As well, I have a book in Frosting & Flurries, a boxed set we’re giving away fro a few more days. Free books are a great no-risk way to try a new author! I’m glad you shared your struggle, and so it must be worth it! Struggles make things sweeter, I think. I haven’t read any books in this series as my current to-read stack is very high! But I do plan on it, as it looks very good! The struggle can make things sweeter, and more appreciated, for sure. I’m discovering there are hidden blessings in everything, even difficulties. I do hope you’ll enjoy the series when you’ve worked through the rest of that TBR stack! Thank you for your perseverance! Thank you for blessing my life with your wonderful God Blessed Storytelling Talent! I did. My word for the year is Organization. I printed the word up and put it where i could see it in my den and in my sewing room. And it has helped. Because I see it, I tend to organize as I go and organize things throughout the year so far. It has been great seeing it. An excellent word. It’s so much easier to organize as we go rather than leave things till they need a major blitz! Especially for anyone who sews or crafts. Projects tend to breed like bunnies! Thank you so much, Linda! I’m grateful and blessed by your words. Working on the series has been an awesome experience. LIke all of us, God is still working on me,. LOL, I’m the human equivalent of a fixer-upper house. I gave Him plenty of flaws and mistakes to work on! You are such a dear lady! Thank you for sharing all that you’ve gone through to give us that wonderful book and series! La Risposta truly was a wonderful story of forgiveness. It touched my heart in many ways. I too chose a word for the year. The word He gave me was, Encouragement. I want to be an encouragement to other, and God has placed many opportunities in front of me. It’s interesting, when we are willing to hear Him and be used by Him, He gives us opportunities and strength to complete it. Autumn, my prayer for you is rest and restoration for you and your husband. You ARE an encouragement, Marylin! I’m sure all the authors in the series were encouraged by your support and by the wonderful graphics you created. Thank you for your prayers. They are appreciated! MY two words that I am working with are patience and calmness. I have other words, bu these are the two that I need to work on. Also one other word that I can think if is assertiveness( an example I can give is when someone says something to me that I personally do not like I do not come up with a rebuttal to that person) to when I am put down or have rude things said to me or about me. I am going to try hard and put these three words to use in my life each and everyday. The two most important are being patient and using assertiveness and being assertive in certain situations that may arise and also using calmness when I get upset or angry. All wonderful words, Andrea. Praying God supports you to make each of them a reality in your life. Celebrate your successes, and be gentle with yourself if there are times you’re not as successful with the words as you hoped. Patience and calmness are things I struggle with too, and God’s been working with me a lot on them! love the idea of pineapple!! thanks so much for sharing, Autumn! and ps – i got both of your books in the series! I hope you enjoy, them, Robin. I can highly recommend all the other books in the series, too. My word for this year was “stillness”! Yet it’s been the busiest year to date and I am constantly feeling the pull to slow down. Need to continually seek His peace and stillness. Praying you feel it! Isn’t it in the busy times we need to seek that stillness with Him even more? Even a few breaths of resting in Him can help. I love your description of a pineapple book. Whenever I have a book that isn’t flowing well, if I’ll just stop and ask God what He wants me to write, it always starts flowing. That is so true, Shannon. And that was the problem for me – I had to let go of my idea of what the story was and surrender it to God. Once I did, stopped the struggle and simply surrendered, suddenly I had amazingly productive days! Glad you were finally able to get your book finished. My word for this year is humble. I am to be humble. I need to ask for help when I need it. I do not have to know all the answers. It is okay to be imperfect/flawed. Do not fill myself with pride. Know that anything I have, and everything that I am comes from the Lord. This is a good lesson for me to be practicing and to learn and struggle through. The Lord knew what He was doing when he gave me this word this year. That’s a great word and so important for us as Christians. I love the way you describe it, Candi!